Salvation And Survival: Penalties For No Health Insurance? Going Up! Penalties For No Health Insurance? Going Up! From the very beginning, Americans instinctively knew that the Affordable Care Act was not exactly what it claimed to be; especially the affordable part. And now, just a few years into the law being upheld by the Supreme Court, we are starting to get the real picture. And just so you get a feel of where we're headed, here are some facts: The federal penalty for having no health insurance was $95 for individuals (or capped at $285 for families) for the 2014 year. This year, the non-compliance penalty will rise to the greater of $325 for individuals or 2% of their income (and the greater of $975 or 2 % of income for families); and in 2016 an individual's penalty is projected to reach $695, or 2.5 % of income, whichever is greater. For families, by 2016, it will jump sharply to $2,085 per family, or 2.5% of income, whichever is greater. By 2017, all penalties will rise in line with inflation. But let's not forget that the Supreme Court ruled in 2012 that ObamaCare is a tax, not a mandate. So what you are seeing in these increased penalties is, in reality, increased taxes. And it's not unreasonable to think that these increases are also designed to grow the enrollment numbers over at HealthCare.gov. When the penalty becomes too prohibitive, people will be forced to seek health insurance, and we all see our private health insurance premiums skyrocketing, so what's a person to do? But it is not only private health insurance going up; the premiums of the plans offered by the government --- you know, those affordable plans --- are expected to go up, too. And it seems as if there is no big rush to sign up. (We all remember the horror stories of those first enrollees, right?). Already, we are seeing that the math just doesn't add up. There aren't enough paying customers of HealthCare.gov, coupled with penalty-paying taxpayers, to cover the millions of people getting free healthcare. But we knew that would be the case, didn't we? In reading an article on the upcoming increases, I perused the comments to see how people were reacting to the news. It was interesting to see the range of opinions. One person suggested, "People should find a broker, or health insurance professional to work with. Someone who can navigate you through choices and options." I can tell you that I have done that, and guess what? Even the most experienced brokers are throwing their hands up in frustration. 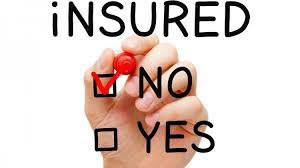 They cannot advise consumers on which plans will be the most affordable, because private insurance companies cannot predict what their premiums will be next year, let alone if those premiums will remain fixed or even stable. Another disconnect I witnessed in the comments section was the gulf between Person A, who has health insurance through his employer, and who resents Person B, because he can't afford the high premiums on the government plan (let alone the ridiculous deductibles), and therefore elects to pay the penalty. First of all, Person A can afford to be smug, if his employer is paying his healthcare premiums. He even had the audacity to question Person B, by asking, "And why don't you receive health care through your employer? Many of us responsible folks ensured we had jobs that provided benefits." He may be singing a different tune, when his employer does the math and concludes he can no longer provide these expensive benefits. Too many Americans have been spoiled in this manner for too long. They have forgotten what it is like to begin in the workforce, making $26,000 per year. Person B would have to pay about $375 a month for ObamaCare, with a $6,000 deductible. He would receive about $70 in subsidies to offset that, so now he would have to pay around $300 a month. Add that monthly bill to a car payment, auto insurance, utilities, and mortgage --- oh yeah, he has to eat, too -- and you can see how this would be difficult to maintain. And with that deductible there is no way he could afford to be sick anyway. I can see why he would decide to pay the fine. If you make $30K a year the fine at 2.5% is $750 which is still only 2 months worth of insurance payments. So, the bottom line in this whole conversation is that we are simply headed down another rabbit hole that is designed to destroy the American lifestyle. Is it just one more entitlement that the Elite wants to force down the throats of ALL Americans? And is it really designed to throw the whole system into turmoil, making the government the only option? Or is it a ramification of a spiritual problem? Either way, it doesn't look as if there is a way out, or a way to turn the monster around. The American people and her leaders just listened to one more lie from Satan and we are reaping the consequences. 2 Peter 2:19 "They promise them freedom, but they themselves are slaves of corruption. For whatever overcomes a person, to that he is enslaved."